22 cm [viii], 167 p.
This volume sets out to re-examine the relationship between assessment and learning in the classroom. 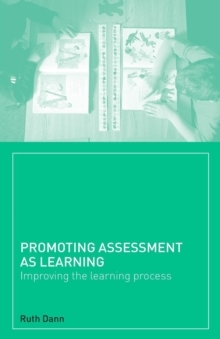 It argues that assessment is an important part of pupil learning, and needs to be understood by pupils in order to help them make judgements about their own progress. This book explores the theories of learning and assessment within the context of national tests and also through the theme of self-assessment. It offers practical approaches to help teachers translate national policy into meaningful classroom practice, and suggests ways to help pupils develop their own assessment skills through a process of consolidation, reflection and revision. This book should appeal to new and practising primary school teachers and headteachers and those on in-service courses. It should also be of interest to students on initial teacher training and higher degree courses.